I’ve already mentioned Molly, my Labrador dog, a couple of times on my blog, so I thought I should probably take the time to introduce her properly. Let’s start with the basics. She’s a two-and-a-bit year old Labrador, who we got when she was eleven weeks old from a local family whose own Labrador had had puppies. 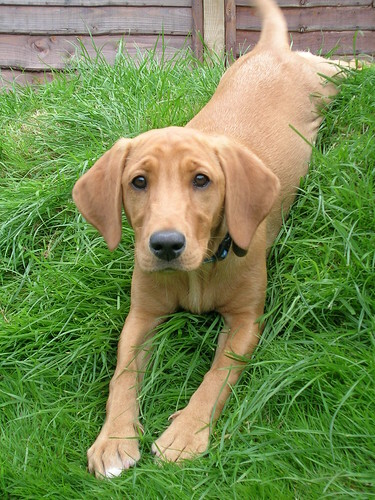 Labradors generally come in yellow, black or chocolate brown. Molly’s technically a yellow Lab, but is in actual fact a kind of orange colour, known among the cognoscenti as something approaching ‘fox red’. She’s become my permanent sidekick, spending most of her time following me around to see what I’m up to and, crucially, whether there are any biscuits involved. When I’m working at my desk, she’s usually curled up on the sofa behind me or tangled around my feet on the floor. When I’m in the garden, she tends to find a patch of sunshine to doze in. And when I’m out and about in the car, she’s generally lolling around on the back seat, hoping that we’re going to the beach. This does have its advantages, though. I’d always wondered how I could go about meeting people and making new friends, and Molly has provided the solution. Wherever we go, people come over and start up a conversation. We meet people on our walks who we later see in town. People may not remember my name, but they always seem to have the time to ask about my dog. Before we got Molly, I could wander around our local town without recognising a soul. Now, I can hardly walk ten paces without someone I recognise at least vaguely stopping to have a chat. For someone who is not a natural born socialite, this is quite a significant development. 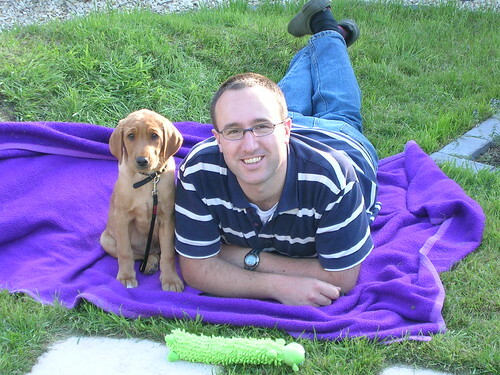 And all thanks to Molly, Labrador and social strategist extraordinaire. 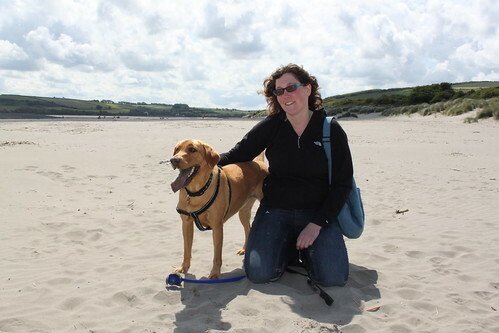 This entry was posted in Dogs, Family, Life and tagged Family, Friends, Labrador, Life, Molly by Simon Perks. Bookmark the permalink.